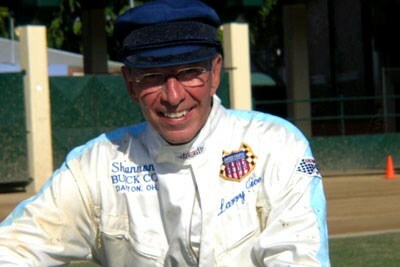 Larry Rice was a smooth racer, a rare gentleman and probably didn't have an enemy in the world. USAC midget champ and 1978 Indy 500 co rookie of the year Larry Rice, a frequent tourist to Australia and New Zealand in the 1970s, has died after a long battle with cancer, aged 63. Ex chalkie Rice made and kept many friends in Australasia after several successful summer seasons in this part of the world. He formed a strange travelling duo with Californian wild man (and one-time lay preacher) Gary Patterson in what was called The Preacher and The Teacher show. Last summer he was brought back to Australia one last time by car owner and enthusiast Phillip Christensen as a special guest in a vintage speedway meeting held at the Brisbane Exhibition Ground. Though in ill health, Rice was his usual charming and warm self. Mike Raymond, the standout speedway promoter who brought Rice to Australia in the 1970s and who remained a great friend, commented sadly that Larry's death reunites the Preacher and Teacher double act. Patterson died in a race crash in the 1980s. situation worsened—shrugging off any concern over his well being. 1973, and was runner-up in the Sprint car standings in 1983.
president of the Indianapolis 500 Oldtimers Club. Indianapolis Motor Speedway Radio Network crew from time to time. the 1981 edition, leading all 100 laps. the number of times he was "upside down." that Rice never had an enemy in the world. He is survived by wife, Beverly, and sons Robbie and Zachary. 2-6 p.m. Saturday, May 23 at Brickyard Crossing.